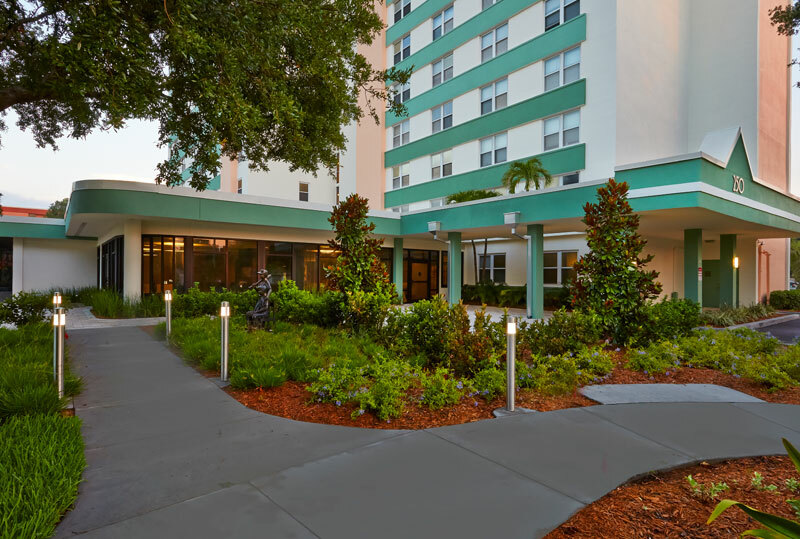 The complete remodel of this senior living facility, Benjamin Towers, is spectacular. 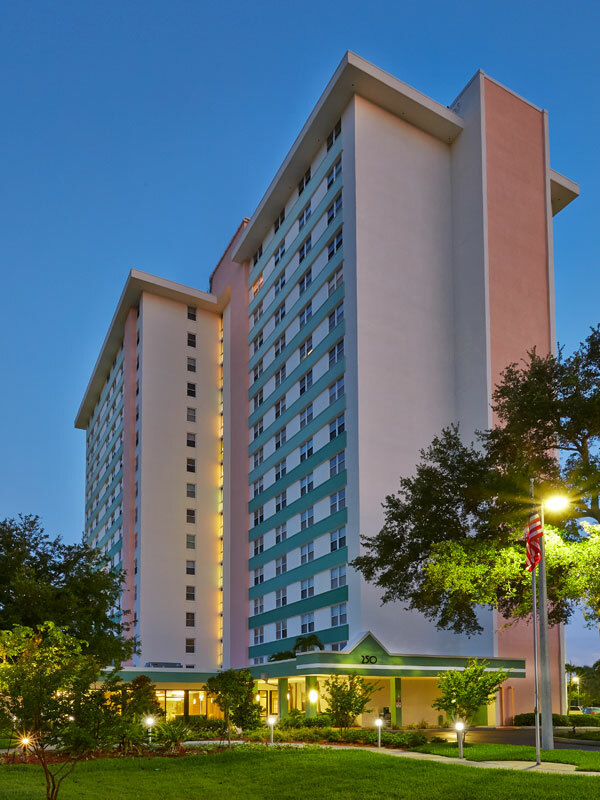 The interior and exterior were completely modernized. 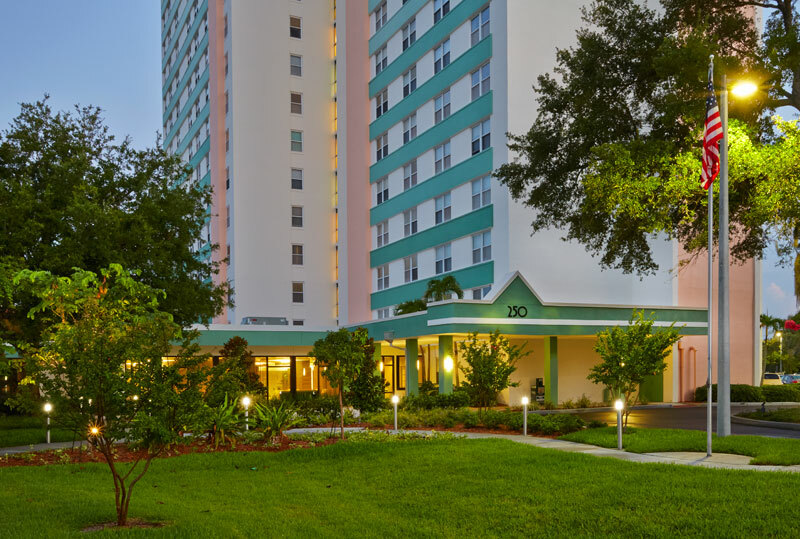 Spacious grounds allow for mature trees, pathways and lighting. 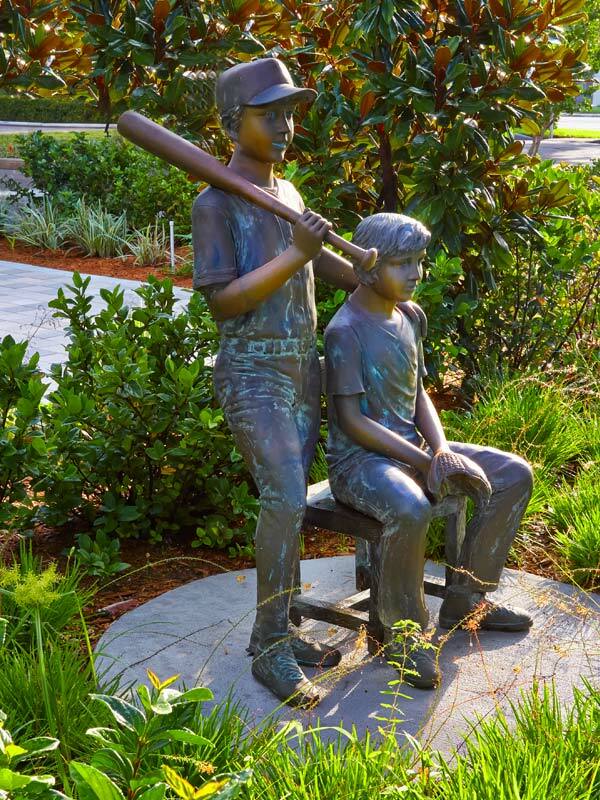 A sculpture with boys playing baseball reminds residents of St. Petersburg’s baseball history. 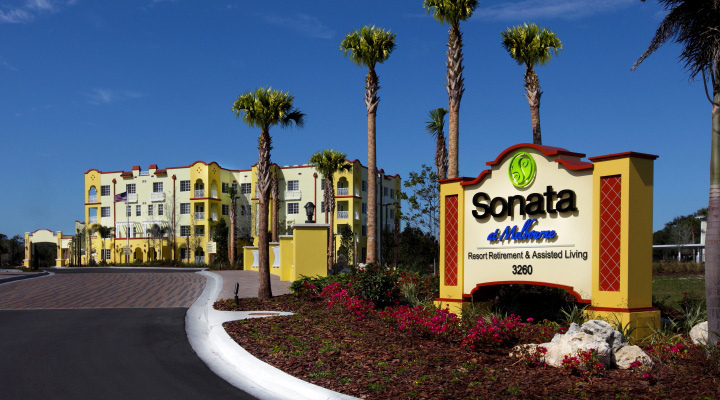 The Sonata at Melbourne is a resort retirement and assisted living facility. 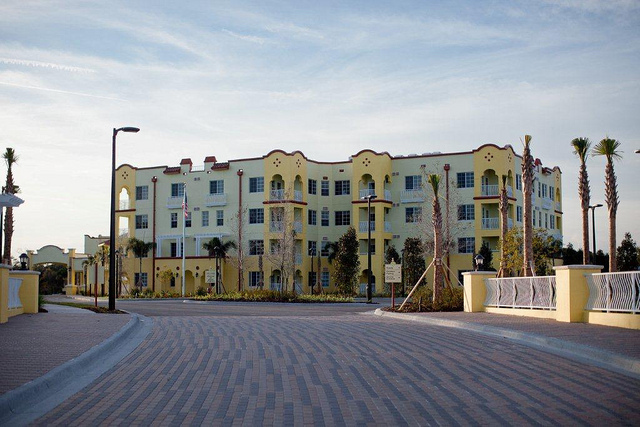 The four story building and grounds includes a uniquely designed paved entrance, pool and expansive landscape. 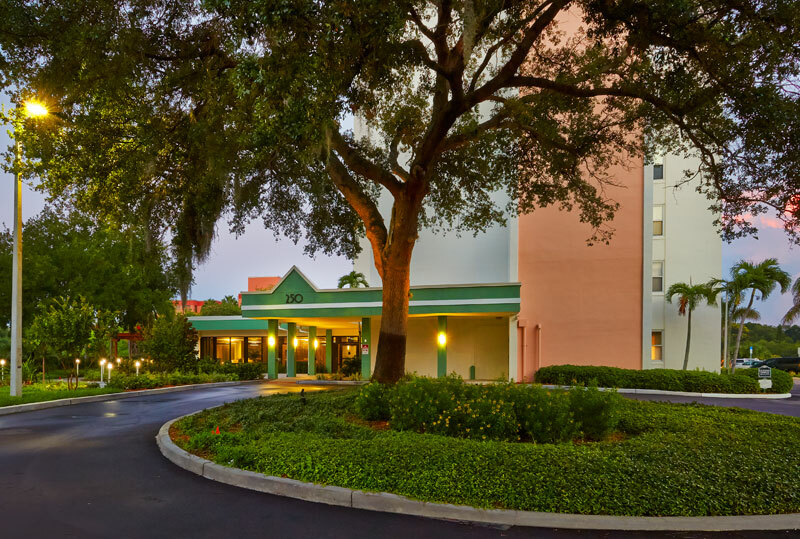 It feels like a resort hotel with high ceilings and luxurious surroundings. 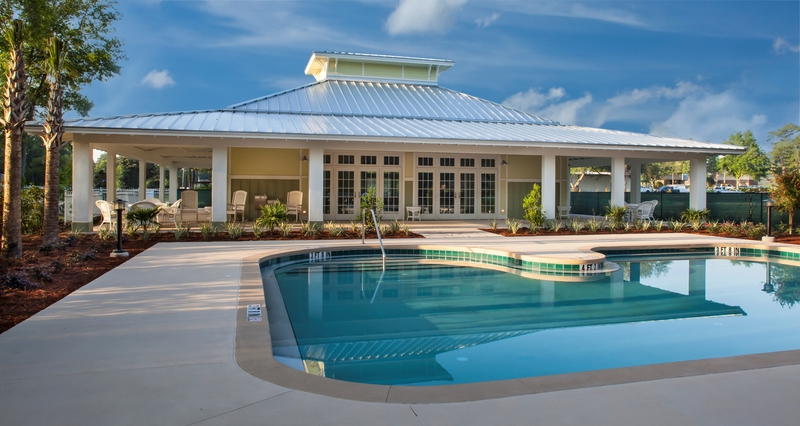 This Westbridge treatment center in Brooksville, FL includes a pool, walking trails and the best of natural Florida living. For this client, peaceful was the key word. 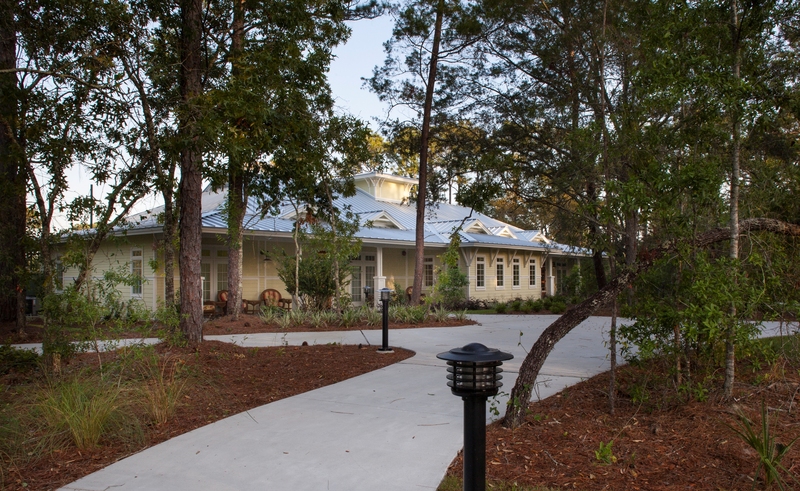 We worked within the natural landscape keeping the ground rural and relaxing. 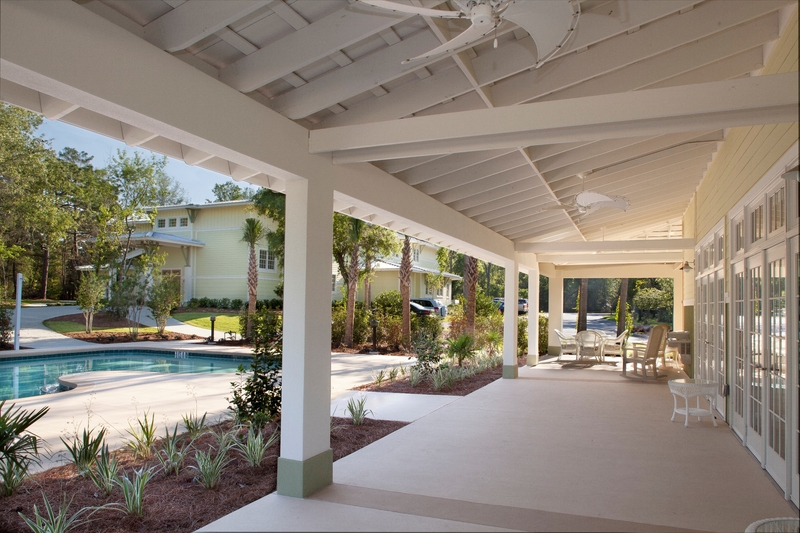 Group sessions can flow outdoors to the many nooks and sitting areas.